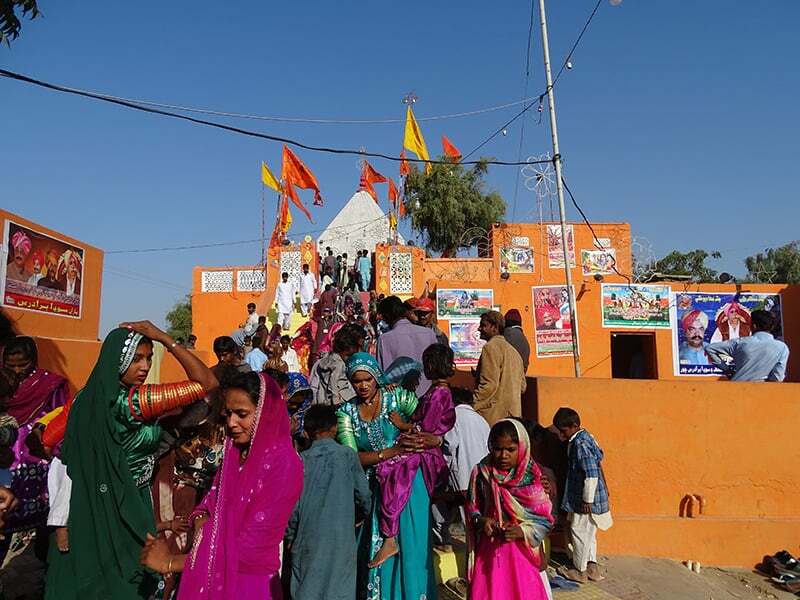 On February 13th, scores of Hindu devotees thronged to a Shiva temple six kilometres from Umarkot, Sindh. Singing Jai Shiva Shankar and Bolo Har Har Mahadev Ki Jai, the pilgrims were attending the three-day Shiva festival that’s held every year. 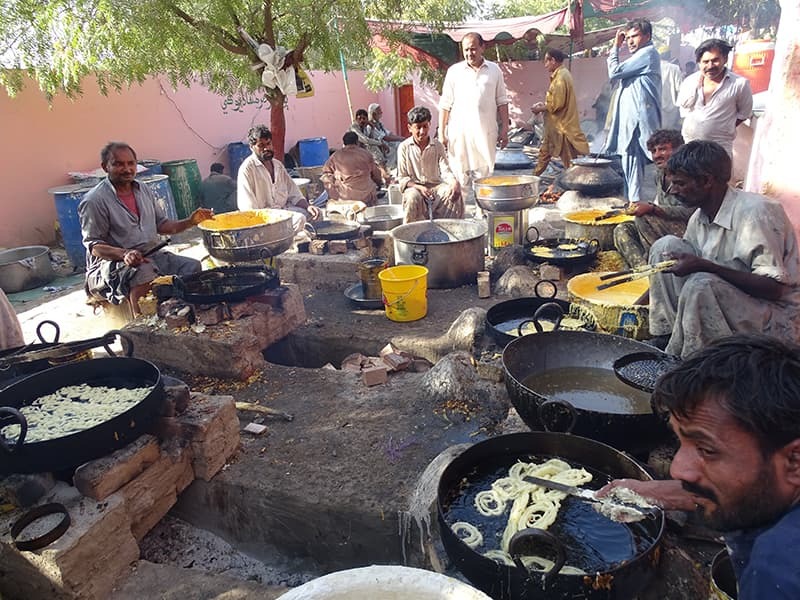 They passed through Muslim villages, where they were served drinks; interfaith harmony is still alive in Sindh in general and Tharparkar in particular. Om symbols welcomed the yatris at the gate of the temple; its walls were decorated with posters of Lord Shiva and other saints of Thar. The temple is one of the most sacred Hindu places in the area; all the Hindu communities — Maheswari, Lohana, Mahraj, Khatri, Malhi, Koli, Bhil, Meghwar, Charan, Giri, Oad, Jatia, Kariam Gavaria, Jogis, and others — come here to pay homage to Shiva. It’s said that this temple is perhaps the oldest in Sindh. Its structure was actually expanded a century ago by a Muslim man. Tharparkar district has two other temples that are said to be very ancient, one in Kharerio in Nagarparkar tehsil and the other in Umarkot tehsil. The temple is managed by the All Hindu Panchayat of Umarkot. Aside from regular repairs and upkeep, they have built a guesthouse, community hall, and various other amenities to accommodate the growing numbers of pilgrim every year. This is one the biggest religious festivals in the country and this year, I was told, it was attended by around 250,000 people. 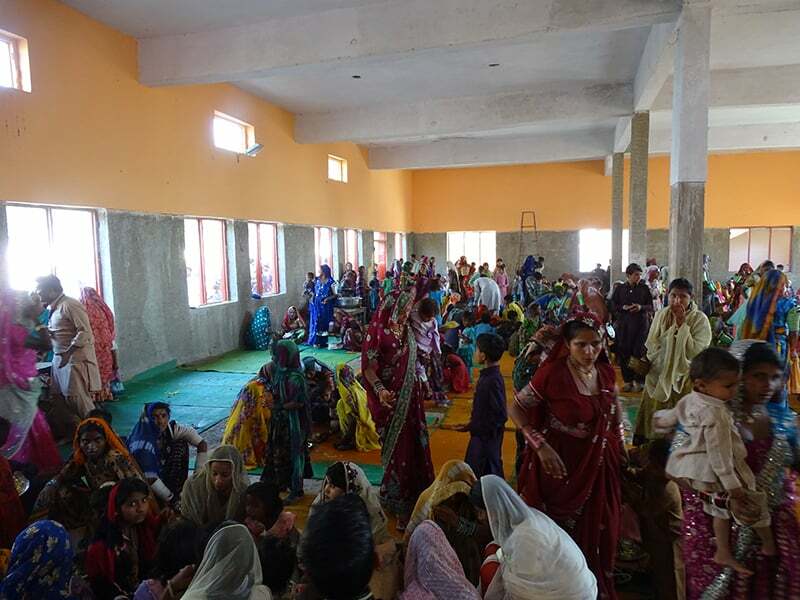 For all three days, the Panchayat arranged meals which included rice, vegetable, chicken, and sweets. The person in charge of the food told me that more than 3,000 cauldrons of meals were prepared. Women were served in a separate hall, which was decorated with the images of Shiva with Parvati, Ganpati and Kartikeya (his family). All the expenses were borne by the Panchayat. In the last few years, Hindus of Sindh have started building grand temples in almost every town and city of upper and lower Sindh, though the majority of the new ones are still in Tharparkar district. In Mithi recently, two opulent temples dedicated to Hanuman and Krishna were built. 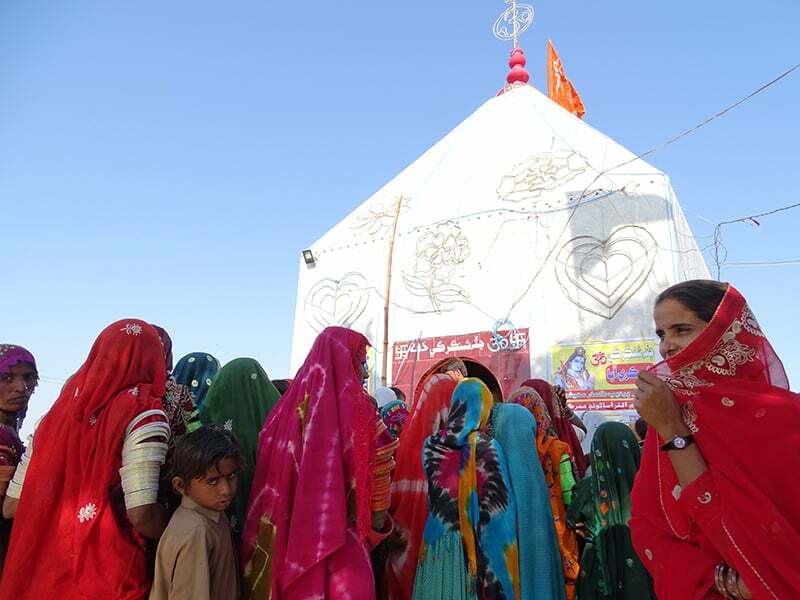 In addition to the festival in Umarkot, religious celebrations are regularly held at the temples Parbharm in Diplo tehsil and Sant Nenuram in Islamkot tehsil. The Rama Pir and Pir Pithoro festivals are also popular Hindu festivals that attract thousands of pilgrims. Other than that, upper Sindh has the Hindu shrines of Sadh Belo in Sukkur, Sant Shada Ram (Shadani Darbar) in Hayat Pitafi in Mirpur Mathelo, and Sant Satram Das (Sacho Satram) in Rahari Sahib in Ghokti — all of whom are visited by pilgrims regularly. Even though Sindh is popularly known for its Hindu heritage, it also has Sikh history. Two new gurdwaras were erected recently in Umarkot and Mithi, and the Guru Nanak Gurdwara, also in Umarkot, was renovated not long ago. While we should not let festivals and celebrations hide the sad social and political realities facing minorities in Pakistan, occasions such as these are important in reminding the country of its heterogeneity and the need to preserve it.